Yoohoo! I am back with my cushion routine! I guess I have never shared about any blog post or review on cushion before, ever since I started to blog, but yeah, this will be the very first post. FYI, I don't really put on make up everyday even though I am working (you know, designers always stay indoor), yet I do whenever I am going for a short meeting LOL, just to impress my clients with my pretty presentable face. Instead of waking up early in the morning just to prep myself with foundation and all the continuous steps, I decided to go for something real quick and easy. 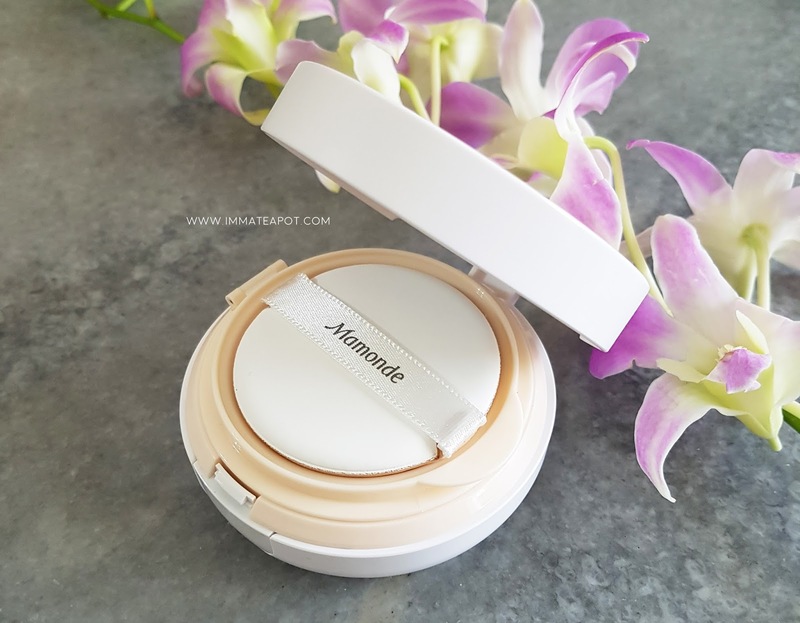 Right in this post, I am going to share about how Mamonde Cover Liquid Cushion and Mamonde Floral Hydro Mist become my life saver, in my cushion routine. Always remember to get your canvas ready (which is your face) before any application of makeup. 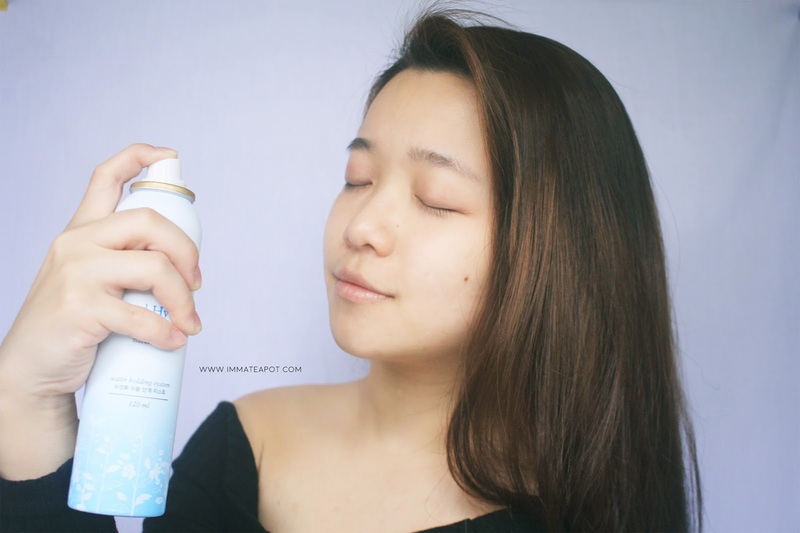 I used to start up my makeup routine with Mamonde Floral Hydro Mist, just to ensure my face is fully moisturized and it helps enhancing the overall skin texture, as well as skin elasticity. 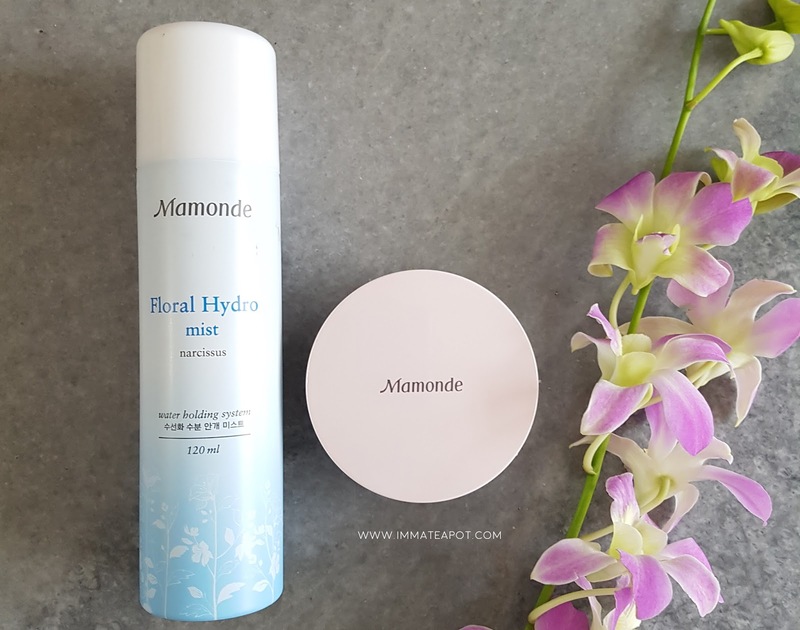 The main ingredient of Mamonde Floral Hydro Mist is actually the narcissus bulbs extraction, which is renowned with its excellent moisture storage effect, where it helps restoring skin moisture and glow, while sooth the skin. 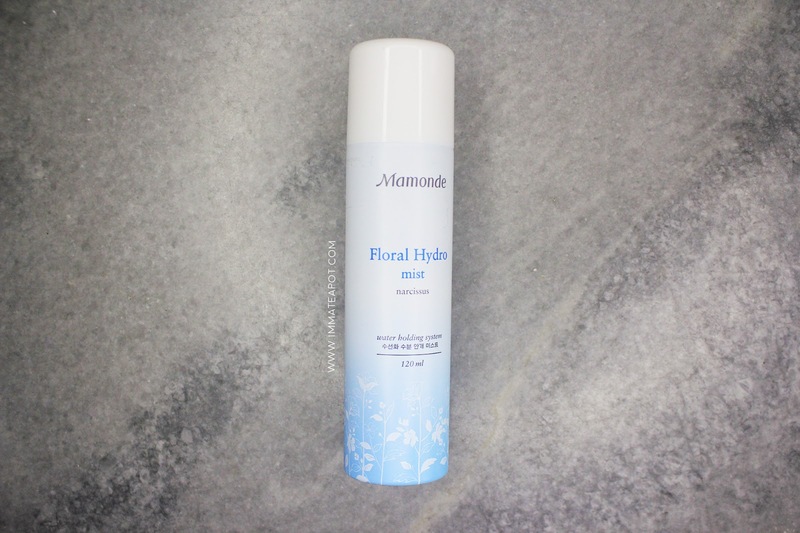 Unlike all the usual mists that I have used and reviewed, the Mamonde Floral Hydro Mist, in just one pump, it fully covers my face, the outputting mist is surprisingly soft and fine when it attaches to the skin, followed by a light refreshing floral scent. I was totally amazed by the output mist, it was real delicate and pleasant, like the real mist that we should define, tiny water molecules instead of water droplets, as it can penetrates so much faster and deeper. It really helps sooth and lock-in the moistness in my skin layer, yet there's a con where it leaves my skin with slight stickiness. 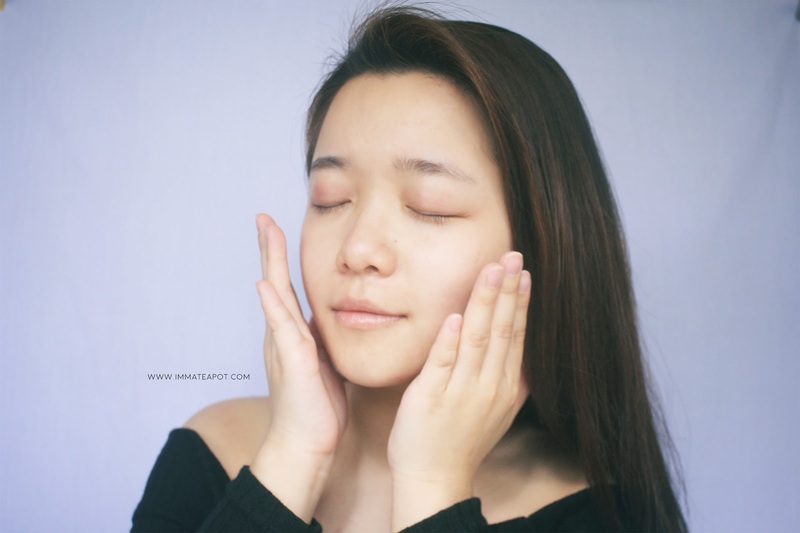 After restoring skin moisture, Mamonde Cover Liquid Cushion will be the main highlight over my cushion routine. 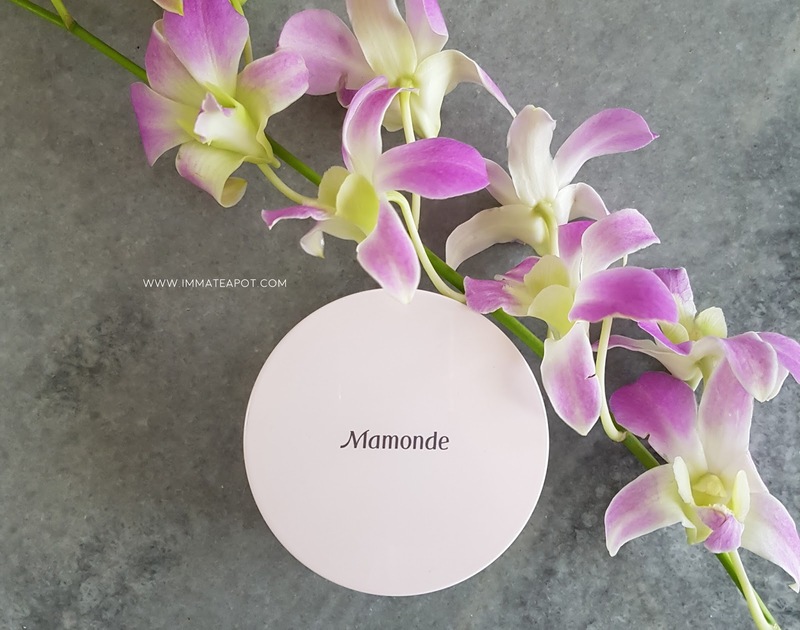 In order to meet the consumers' concerns and demands, Mamonde has come out with the Cover Liquid Cushion which provides perfect coverage in just a thin layer. Perfect Coverage with Hyperfine High Cover Powder : Perfectly conceal blemishes, pores and wrinkles. Smooth Fit Coverage with Pomegranate Flower Extracts : Providing 3D Lift Up Solution that helps restoring skin elasticity, combat against skin aging while enhancing the skin texture. Beside, the 'Flower Fit Puff' is meticulously crafted, in order to give our skin a light finish which perfectly fits into the skin, without leaving any trace of cakeyness behind. Like what they claim, the texture of the foundation is so fine and velvet, in light glowy finish accompanied by a mild delicate floral scent. It does leave the skin with a little stickiness, yet still bearable. On the picture above, it is just a thin layer of the foundation, yet the coverage is significantly great. Always remember, in just 1 - 2 pumps is god enough to apply the whole face. Else your face will be ended up with thick layering. Be gentle and light handed. 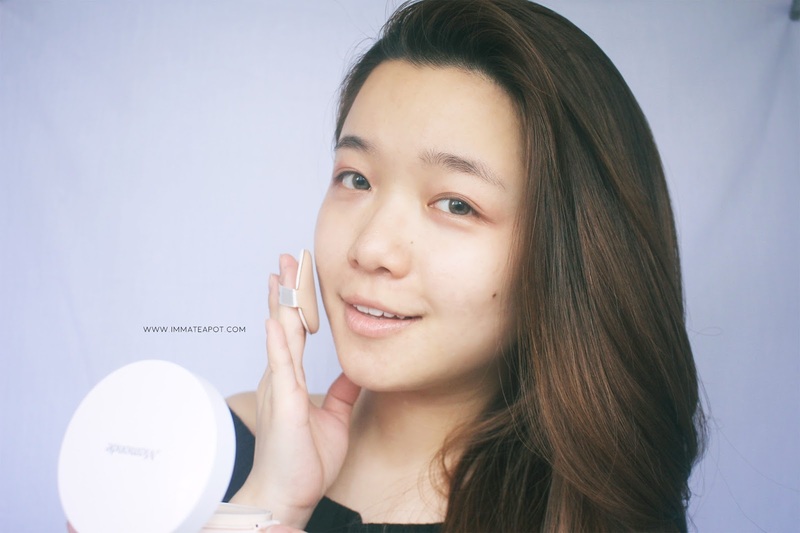 Personally I love how the cushion is formulated, as it works really well on the coverage where it fully covers all my skin red blemishes, fine lines, pores and dark circle. I save up some time for concealing those flaws. 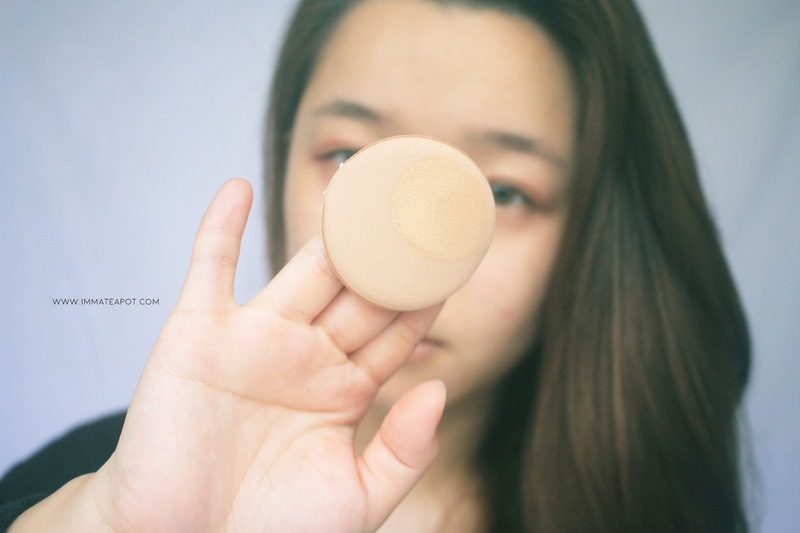 Since the cushion is formulated for coverage purposes, it doesn't work much on moisturizing, yet it does not dries up my skin till leaving cakey trace. I guess it works well in hot, humid weather, especially in Malaysia, as it doesn't turn greasy nor cakey even after long hours. 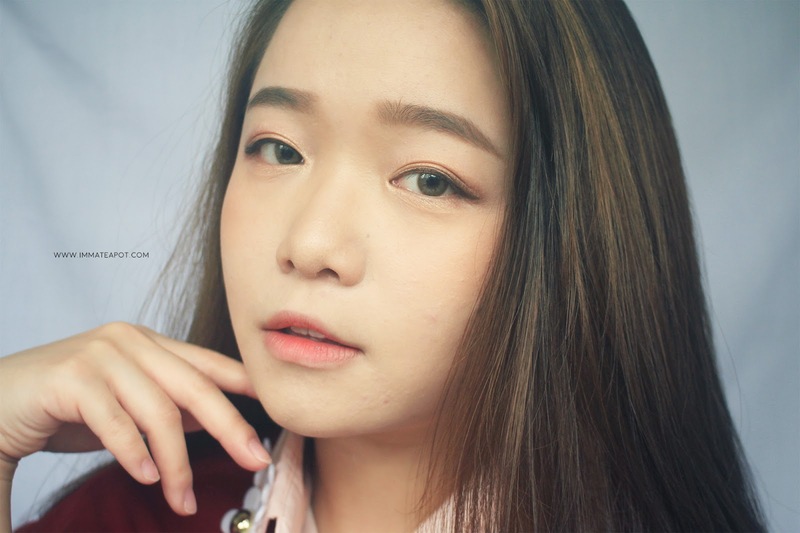 Here's the full makeup using Mamonde High Cover Liquid Cover in Shade #21. 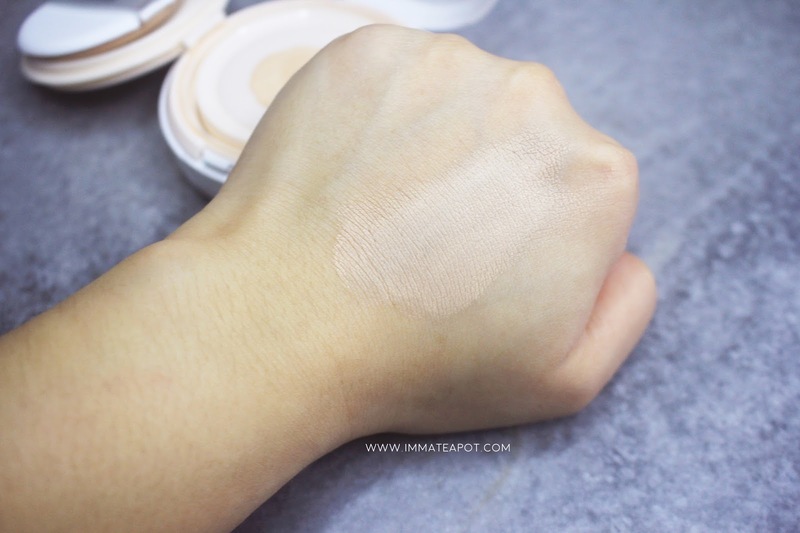 I feel that this shade (#21 Cover Peach) is too white for me, even though it falls in the intermediate shade. I hope that Mamonde can come out with more specify shades in the future. For more information, please feel free to visit Mamonde on Facebook Page | Website | Instagram. You may visit Mamonde counter at AEON One Utama, AEON Mid Valley, AEON Bukit Indah and AEON Queensbay Mall. Wahh. I love it because of the Mesh Filtering System. Does the spray feels sticky? 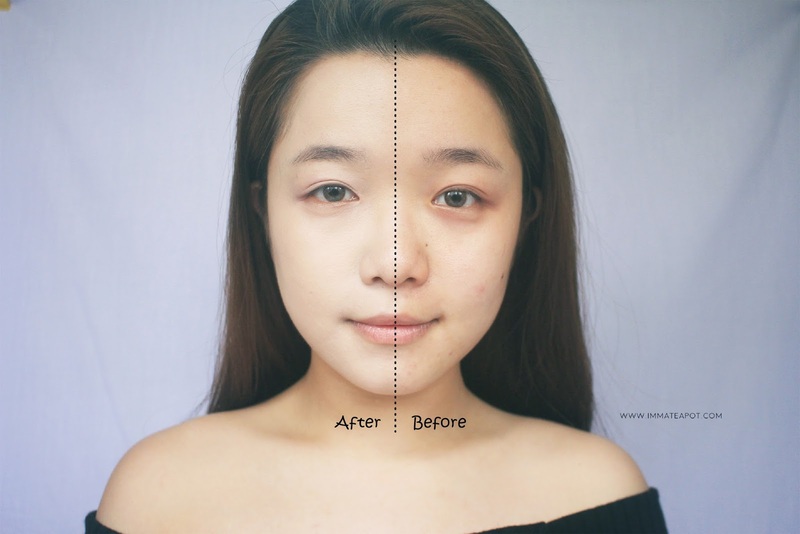 Looks like a quick solution to a fair and no-make-up look face. I need to try as I am running late all the time. Great for quick make up. I keep one in my handbag all the time. Love your review. 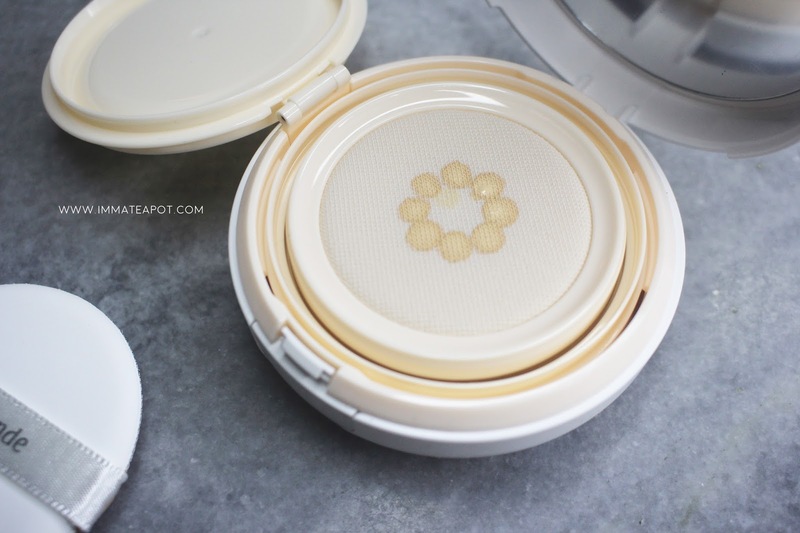 I really love the coverage it provides but it doesn't look too heavy! I have tried it. I love the lightweight texture, coverage and long lasting effect. The coverage looks really good babe- you can certainly see quite a difference :) Great to know that it works on you so well.